The 2018 Africa Science Week - Kenya is organized by a team comprised of scientists, media practitioners, thinkers, writers and researchers. 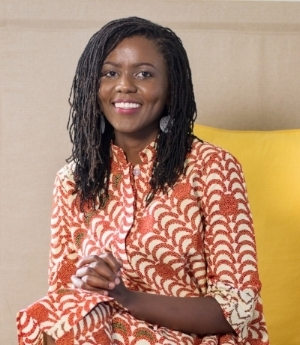 Rose is co-founder and CEO of the Mawazo Institute, which supports the next generation of female scholars and thought leaders in East Africa, and promotes public engagement with research. She is also a Fellow of the Energy for Growth Hub and is the current Next Einstein Forum Ambassador representing Kenya. Rose has worked extensively as a researcher and practitioner focused on technology and policy dimensions of energy, environment and innovation issues globally. She is a Materials Scientist with research experience in the fields of nanotechnology and polymer physics. Rose is passionate about harnessing science & technology to improve lives, and elevating women to positions of leadership and influence in African society. 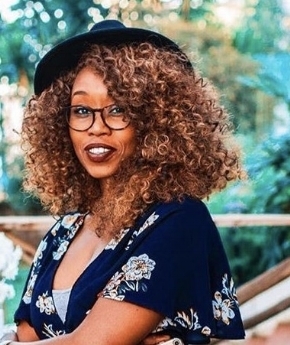 Kari is an activist, writer and communications consultant based in Nairobi, Kenya. In her professional role, she supports the work of agitators, dreamers and social justice workers who believe in a universe of equals. She has worked as a communications consultant in Minneapolis, Minnesota, U.S.A and Nairobi, partnering with nonprofits and local government agencies in developing their external communications, fundraising and community engagement. She continues to write and publish at the intersection of issues related to gender, identity, immigration and arts and culture. Maina is a recent graduate of the University of Chicago, where he earned a Bachelor of Arts in Philosophy while exploring his interdisciplinary interests through coursework in mathematics and literature. Before joining Mawazo, he worked on the editorial team of Sliced Bread Magazine, volunteered at Open Books Chicago, and organised on Chicago’s South Side with the Midwest Workers’ Association in order to connect local residents to public utilities and legal help. During his time as a student, the sight of major academic institutions neglecting their local communities sparked his passion for supporting diverse research environments and publicly accessible knowledge. Eric is a digital marketing professional with a specialization in social media marketing. He is passionate about the digital media space and has worked on brands such as Power Malt West Africa, PrEP and Anza Sasa in his previous experience at Scangroup Kenya. Using his skills in content creation, community management, analytics interpretation and media buying, he is able to help to grow brands, spread their message and localize their communities online as well as provide new insights that spearhead them into uncharted frontiers in the vast digital landscape. Naliaka is a freelance writer, editor and social media consultant. She is the Co-Founder and Managing Editor of ‘Of Africa’, an online platform that celebrates women of African descent while fostering editorial talent. She is also a founding member of 'Social 4 Rookies', a training and consultancy group that teaches companies and individuals the integral concepts of branding online at a beginners level. She holds a BA from the University of British Columbia and has an ongoing love affair with words. Through Of Africa and her consulting, she stresses the importance of people learning vital communication skills to be able to speak for themselves.